My Little Farms is developed in Germany. For some reason, the Germans especially like construction games – this reflects their mental desire for order, arrangement, and harmony. This is a game about a medieval-style farm. The essence of the project is familiar to everyone who has played farm simulators before. In it, you will be engaged in the construction of industrial buildings, horticulture, animal husbandry, vegetable gardens, grow grain, vegetables, fruits, collect and sell crops, and the money will give you the possibility to improve and expand your land. Playing My Little Farmies is very easy. 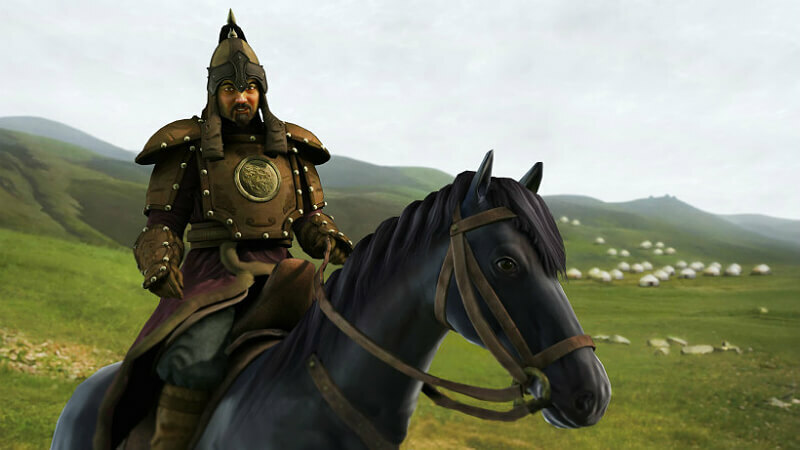 The game is completely browser-based – you do not need to download and install anything — just go through a quick registration on the official website of the game. Read more in the review. This game has a number of advantages over other projects of this genre. Bright flash graphics and animation. Easy navigation, allowing you to quickly understand the game. A wide range of opportunities for the construction and development of your own farm. Medieval style, creating the appropriate atmosphere. Developed social system that allows you to communicate and share experiences with players from around the world. The game is free and requires nothing but registration on the site. You can play directly in the browser or use the full-screen mode. Easy training and the story tasks don’t allow the game to get boring, opening each time more and more opportunities. 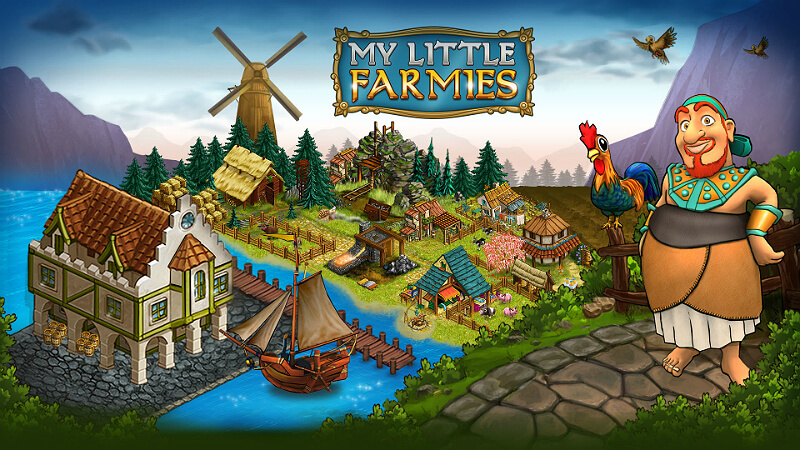 The essence of the My Little Farms game, created by the German company Upjers, in the construction and development of your medieval farm, which can be expanded, turning it into a whole village. 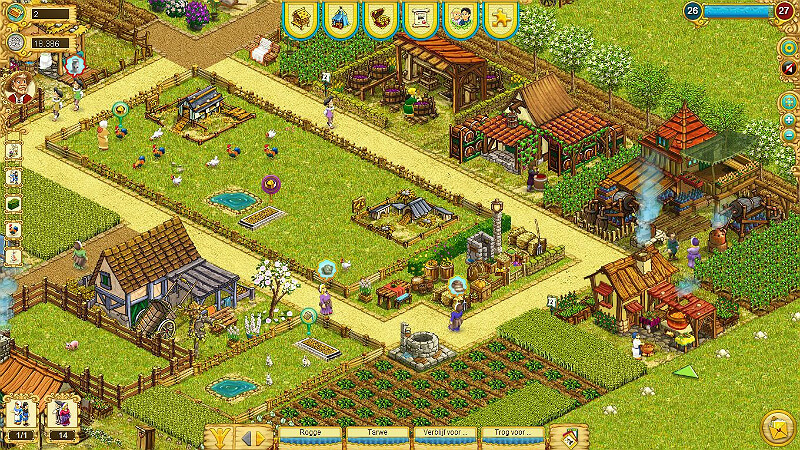 The game offers a full cycle of agricultural concerns – the construction of buildings, laying roads, planting plants, growing animals and caring for them, as well as decorating your possessions. In the village, there will be a lot of farmers. There are perfectly animated people running from one house to another on the paths that you as the owner of the village will lay between their properties. These are the inhabitants of your village, which will become more and more developed. Each peasant has his own profession and performs certain actions. This is reminiscent of the online game Settlers strategy, it is based on the same principle. That is, you do not need to manage units, as they know what to do and how to do it. The economy of the game is very developed. You can build many buildings – for example, a mill, a cattle pen, or a sewing workshop. 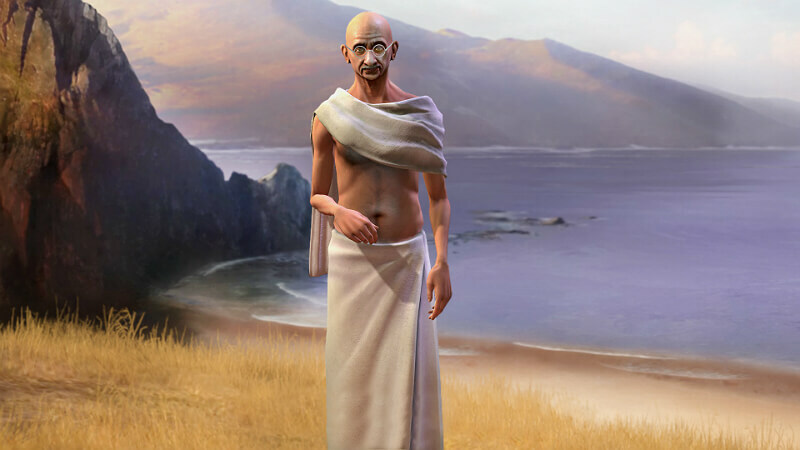 Your task in the early stages of the game is to build all the necessary infrastructure for sowing fields, breeding animals, and growing fruit trees and other plants. The goods created need to be sold to other farmers and the profits spent on the further development of the village. In the beginning, you have a green meadow and you have to go a long way before you turn it into a thriving village. The Advisor will prompt you what to do and what buttons to press. 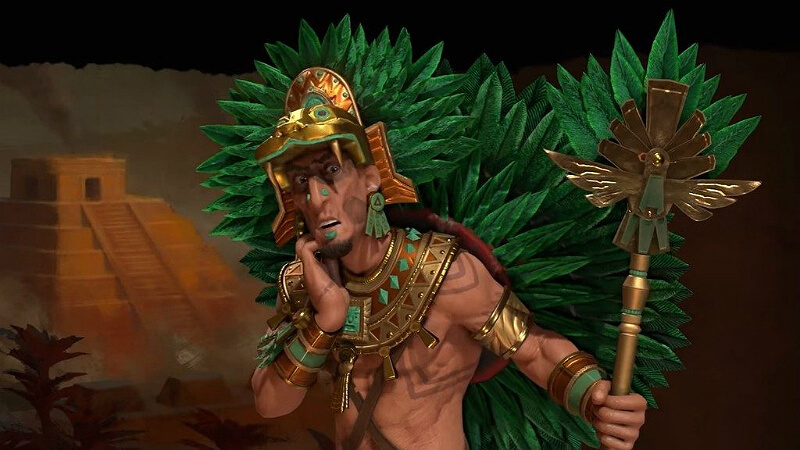 There, you will receive tasks (quests) for the performance of which you get game currency (thalers) and experience points necessary to increase the level. With each new level, you will unlock new lands to expand your farmland. In My Little Farmies, there are two currencies – thalers and gold bars. The first is the usual currency of the game. You can use gold to purchase especially valuable items, buildings, plants, and animals. Gold bars can be obtained in various ways, for example, by performing tasks from the adviser. You can also get gold by reaching new levels or buy it for real money if you do not want to pass quests. 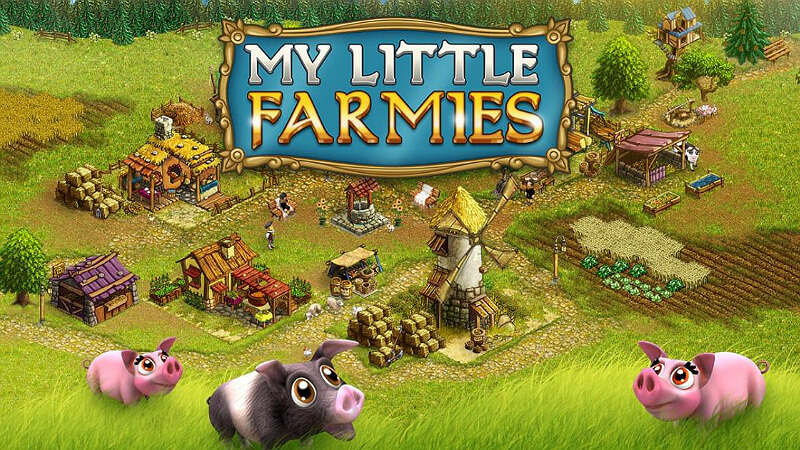 The online game My Little Farmies begins with planting the fields and building roads for farmers. First, it is necessary to produce a crop, and then to ensure that farmers are able to harvest with ease and deliver the crop where you want. At first, only basic plants will be available for sowing but throughout the game, your opportunities will be constantly evolving, will open up new areas for planting, new crops for cultivation such as plum trees, new animals and, of course, new buildings, such as the mill. Success depends on many the strategies that every player chooses. The game is not limited to sowing and harvesting. Plants will dry up if they are not watered. In addition, the harvest still needs to be processed. For this purpose, it is necessary to build various plants and handicraft workshops. For example, you can grind grain into flour in a mill in order to bake bread. You can get juice from plums. Thus, you create a range of products that will gradually become more expensive, and then sell them and make a profit. Apart from that, your farmers need to be fed. To be able to do this, do not forget to build a kitchen. In addition to the economic strategy, My Little Farms offers other opportunities to decorate the village. The game has a very developed aesthetic component. The whole animation is smooth, with no lag. The beautiful graphics allow you to enjoy decorating your garden, planting flowers, installing a fence where you need it, building fountains and more. For a good decor for the farm, the player receives bonuses. You can also get them for purchases and every login into the game. In addition to bonuses, you will also receive titles awarded for certain achievements in the game, for example, for growing a specified number of tomatoes. With the income, you can buy animals (cows, horses, rabbits, chickens, etc. ), bringing even more profit. However, you will need to build a paddock for them. In addition, just like the plants, the animals need to be cared for. 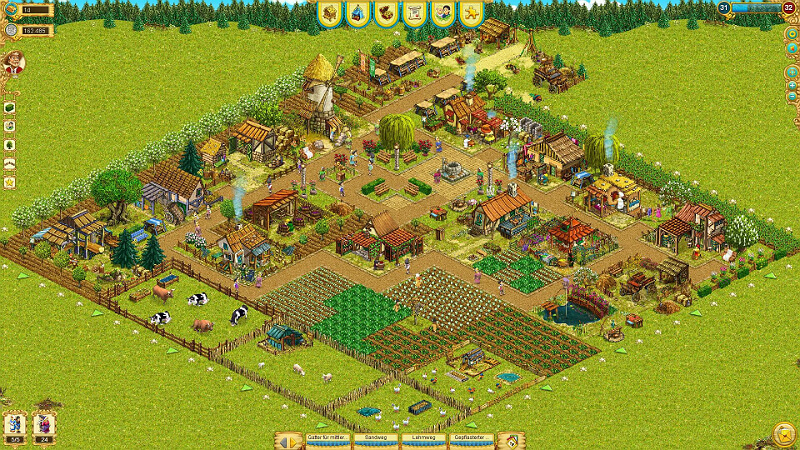 In the game, you can easily make friends, visit the farms of other players, communicate, share experiences, exchange products, gifts, participate in ratings and much more. Friends can help with the housework, for example, water the plants or feed the rabbits. The main goal of the game is to build the richest and most beautiful farm. This will not be easy because the other players want the same thing. But what is a game without competition? Construction games have a special appeal. But really successful projects of this genre are not enough. So, if you have been dreaming about your own farm or you are a real gardener, then test yourself in My Little Farmies. The game will appeal to boys and girls of all ages. It will also suit lovers of games about farming. The game is simple and fun. 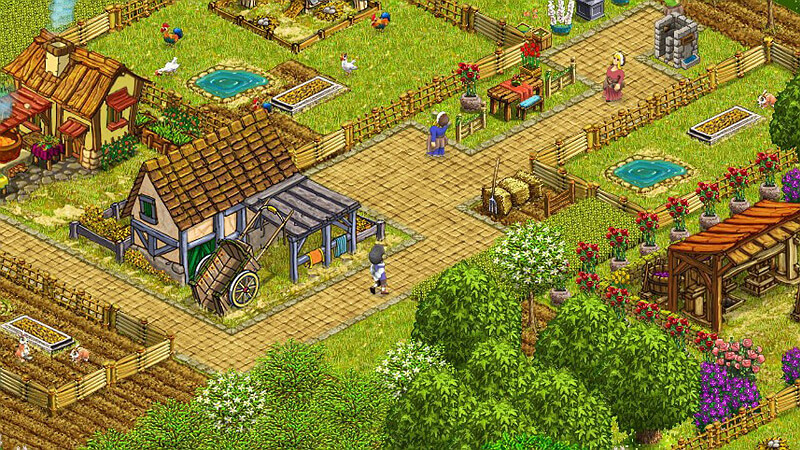 This is a classic farm simulator that embodies all the best features created in this genre. To create your own medieval village, you do not need to install anything on your computer – just register on the official website of the game and start building.